So Young handed in its prospectus and prepared to launch its IPO in Nasdaq Stock Exchange. The medical cosmetology platform and community finally started to go public after rounds of financing series. As a pioneer, So Young just sailed. 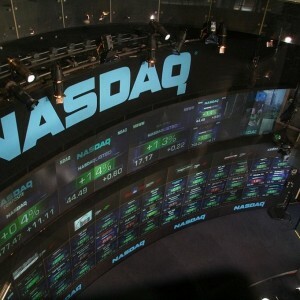 April 9, 2019 /EqualOcean/ - So Young (新氧) handed in its prospectus and prepared to launch its IPO in Nasdaq Stock Market. In its prospectus, So Young (filed as So-Young International) applied to be listed under the symbol “SY”. Underwriters for So Young are Deutsche Bank Securities and CICC (China International Capital Corporate). 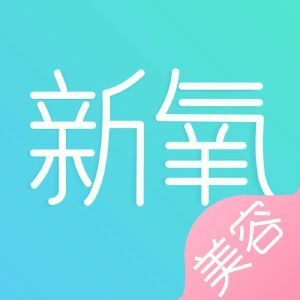 Founded in 2013, So Young, a medical aesthetic service platform and community in China, closed series E financing in amount of USD 70 million in September 2018. It swiftly grew from a startup to current unicorn and started to prepare to be listed in Nasdaq. Founded nearly 6 years, So Young has become the largest medical cosmetology platform and consumption healthcare community. So Young has expanded into 300+ cities in China and collaborated with approximately 6,000 consumption healthcare institutes including dental clinics. Disclosed by its prospectus, So Young’s total revenue increased by 428.2% from CNY 49.1 million (USD 7.6 million) in 2016 to CNY 259.3 million (USD 39.3 million) in 2017, and further by 138.0% to CNY 617.2 million (USD 89.8 million) in 2018. The rapid growth in business and operation brought a significant increase in its gross profit. Its gross profit increased by 797.6% from CNY 23.9 million (USD 3.7 million) in 2016 to CNY 214.5 million (USD 32.5 million) in 2017, and further by 145.1% to CNY 525.7 million (USD 76.5 million) in 2018. Hence, the gross profit margin improved from 48.7% in 2016 to 82.7% in 2017 and further improved to 85.2% in 2018. The historical financial numbers indicate the success of So Young to transform its online customer traffic into real economic consumptions, which is a problem met by numerous online community operators. Medical aesthetic services industry in China is competitive and has numerous participants. The situation caused the customer acquisition costs (CAC) trending up and So Young’s appearance lowered the CAC and its community function helps to lower the entrance bar for consumers – authentic reviews based on real service can eliminate the worries toward the consumption healthcare service due to past information asymmetry. According to Frost and Sullivan, the So Young mobile app accounted for 84.1% of total daily user time spent on online medical aesthetic service mobile apps in 2018. The predominance of So Young in China’s market is unquestionable. Besides, the medical aesthetic service industry in China is yet to grow, compared with other East Asia countries like South Korea. The penetration rate of receiving medical aesthetic services in the female group aged from 18 to 40 in South Korea was 42% in 2018 while China was 7.4%. Comparing to the 2.3% penetration rate in three years ago, the growth is prominent, but the penetration is still far from expectation. Estimated total revenue of China’s consumption healthcare service industry was USD 81.6 billion and is expected to grow at a CAGR of 20.0% from 2018 to 2023. Meanwhile, the online medical aesthetic will expect a faster CAGR in its total revenue at 58.2.% from 2018 to 2023. The market seems to be full of opportunities, but So Young as the first one who enters the IPO process is facing myriad unknowns and risks. Along with the industry development, there might be more services and policies appear for a better consumption healthcare industry, and So Young will also be the first one to experience the changes and challenges. SoYoung Technology is a provider of digital services and technology advances.